The SonicWall NSA 4600 secures growing medium-sized organizations and branch office locations with enterprise-class features and uncompromising performance. Superior threat prevention and performance NSA series next-generation firewalls (NGFWs) integrate advanced security technologies to deliver superior threat prevention. Our patented singlepass RFDPI threat prevention engine examines every byte of every packet, inspecting both inbound and outbound traffic simultaneously. The NSA series leverages on-box capabilities including intrusion prevention, anti-malware and web/URL filtering in addition to cloudbased SonicWall Capture multi-engine sandboxing service to block zero-day threats at the gateway. Unlike other security products that cannot inspect large files for hidden threats, NSA firewalls scan files of any size across all ports and protocols. The security architecture in SonicWall NGFWs has been validated as one of the industry’s best for security effectiveness by NSS Labs for five consecutive years. Further, SonicWall NGFWs provide complete protection by performing full decryption and inspection of TLS/SSL and SSH encrypted connections as well as non-proxyable applications regardless of transport or protocol. The firewall looks deep inside every packet (the header and data) searching for protocol non-compliance, threats, zero-days, intrusions, and even defined criteria to detect and prevent hidden attacks that leverage cryptography, block encrypted malware downloads, cease the spread of infections, and thwart command and control (C&C) communications and data exfiltration. Inclusion and exclusion rules allow total control to customize which traffic is subjected to decryption and inspection based on specific organizational compliance and/or legal requirements. When organizations activate deep packet inspection functions such as intrusion prevention, anti-virus, antispyware, TLS/SSL decryption/inspection and others on their firewalls, network performance often slows down, sometimes dramatically. NSA series firewalls, however, feature a multi-core hardware architecture that utilizes specialized security microprocessors. Combined with our RFDPI engine, this unique design eliminates the performance degradation networks experience with other firewalls. In today’s security environment, it’s not enough to rely on solely on outside parties for threat information. That’s why SonicWall formed its own in-house Capture Labs threat research team more than 15 years ago. This dedicated team gathers, analyzes and vets data from over one million sensors in its Capture Threat Network. SonicWall also participates in industry collaboration efforts and engages with threat research communities to gather and share samples of attacks and vulnerabilities. This shared threat intelligence is used to develop real-time countermeasures that are automatically deployed to our customers’ firewalls. 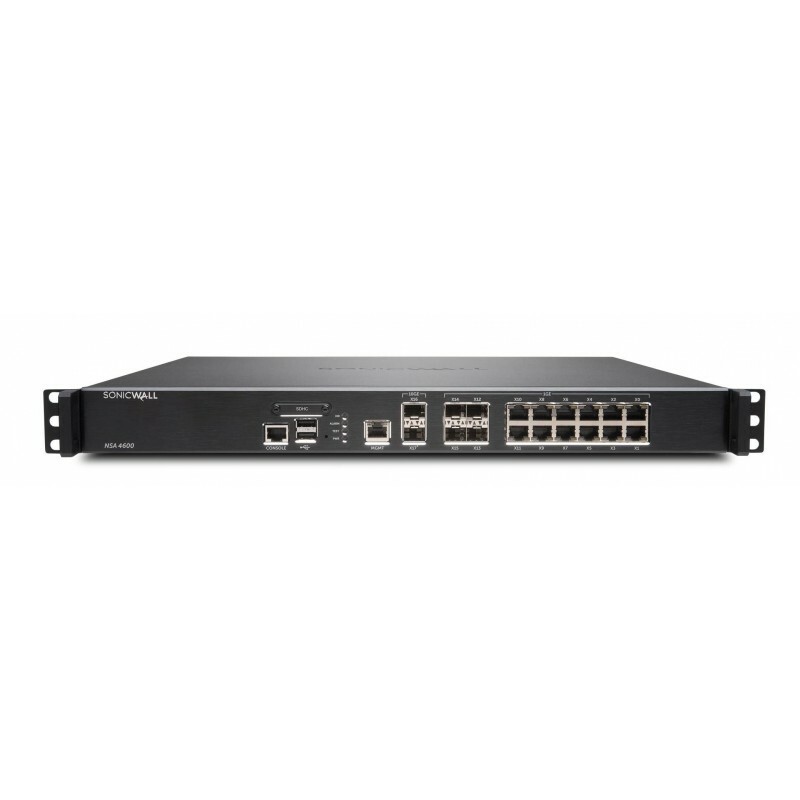 Network control and flexibility At the core of the NSA series is SonicOS, SonicWall’s feature-rich operating system. SonicOS provides organizations with the network control and flexibility they require through application intelligence and control, real-time visualization, an intrusion prevention system (IPS) featuring sophisticated antievasion technology, high-speed virtual private networking (VPN) and other robust security features. Using application intelligence and control, network administrators can identify and categorize productive applications from those that are unproductive or potentially dangerous, and control that traffic through powerful application-level policies on both a peruser and a per-group basis (along with schedules and exception lists). Businesscritical applications can be prioritized and allocated more bandwidth while non-essential applications are bandwidth-limited. Real-time monitoring and visualization provides a graphical representation of applications, users and bandwidth usage for granular insight into traffic across the network. For organizations requiring advanced flexibility in their network design, SonicOS offers the tools to segment the network through the use of virtual LANs (VLANs). This enables network administrators to create a virtual LAN interface that allows for network separation into one or more logical groups. Administrators create rules that determine the level of communication with devices on other VLANs. 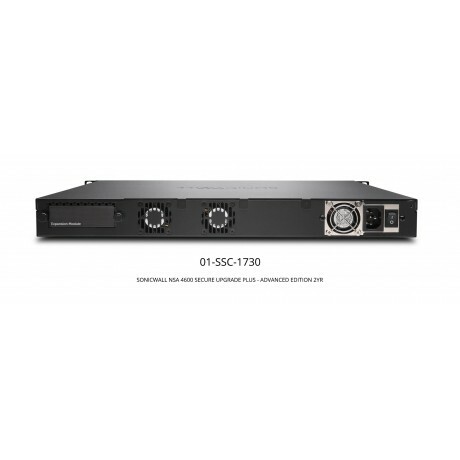 Built into every NSA series firewall is a wireless access controller that enables organizations to extend the network perimeter securely through the use of wireless technology. 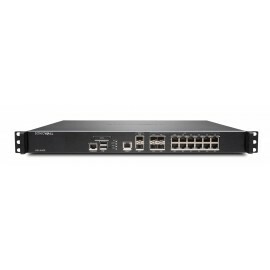 Together, SonicWall firewalls and SonicWave 802.11ac Wave 2 wireless access points create a wireless network security solution that combines industry-leading next-generation firewall technology with high-speed wireless for enterprise-class network security and performance across the wireless network. Easy deployment, setup and ongoing management Like all SonicWall firewalls, the NSA series tightly integrates key security, connectivity and flexibility technologies into a single, comprehensive solution. This includes SonicWave wireless access points and the SonicWall WAN Acceleration Appliance (WXA) series, both of which are automatically detected and provisioned by the managing NSA firewall. Consolidating multiple capabilities eliminates the need to purchase and install point products that don’t always work well together. This reduces the effort it takes to deploy the solution into the network and configure it, saving both time and money. Ongoing management and monitoring of network security are handled centrally through the firewall or through the SonicWall Global Management System (GMS), providing network administrators with a single pane of glass from which to manage all aspects of the network. Together, the simplified deployment and setup along with the ease of management enable organizations to lower their total cost of ownership and realize a high return on investment.